Making cornbread is so easy and quick there really is no reason to buy the box kind that full of weird ingredients and tastes nothing like a freshly made batch. 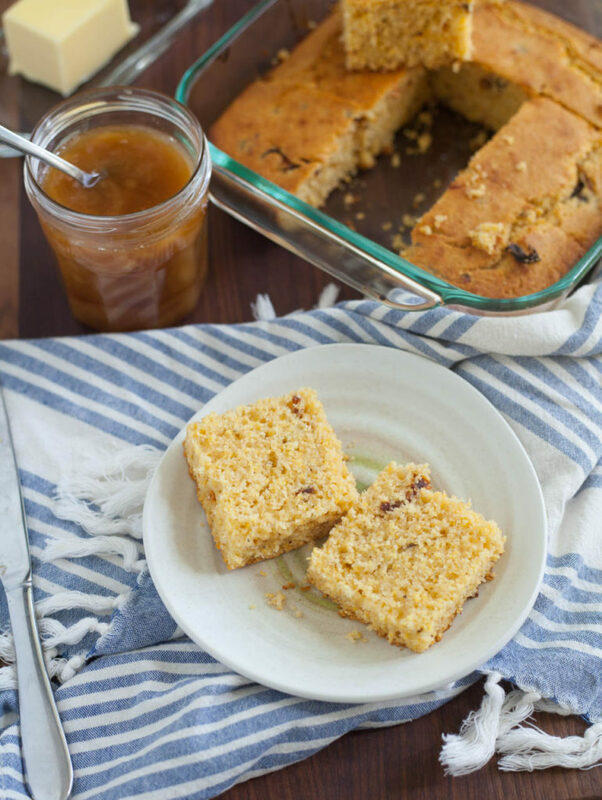 This recipe comes together in minutes and bakes away filling your house with the most lovely buttery cornbread smell. 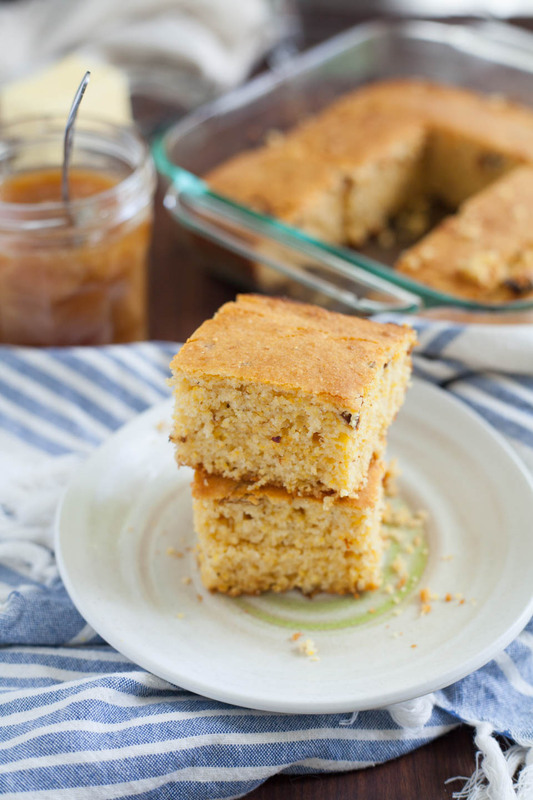 You could do laundry, make dinner, do yoga, or even yard work while this fluffy spicy and sweet cornbread bakes. 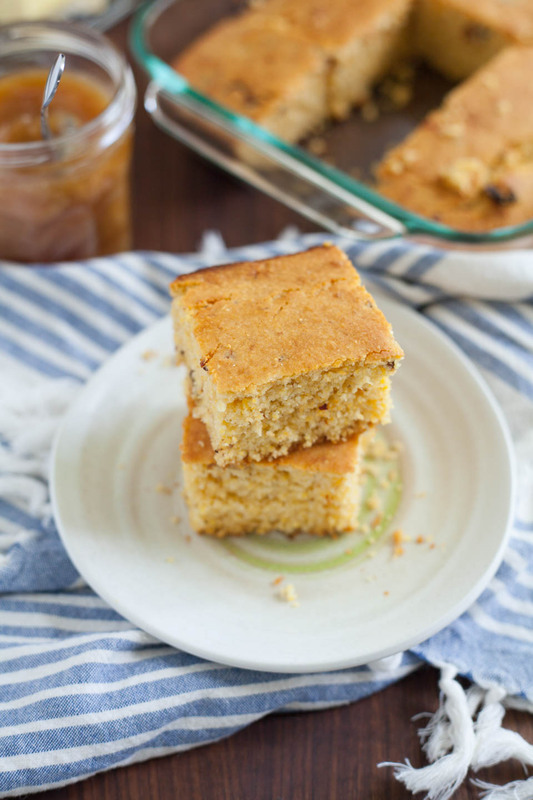 I took my original cornbread recipe and made this Chipotle Honey Cornbread version to spice things up a bit. And it’s one of my most popular recipes so it made perfect sense to adapt it with other flavors. There are a few tips and tricks to make this recipe just right, so make sure to read the whole recipe and tips below all of the way through. It makes a huge difference how the batter is mixed and the outcome of the finished recipe. So trust me and read it before you make this :). 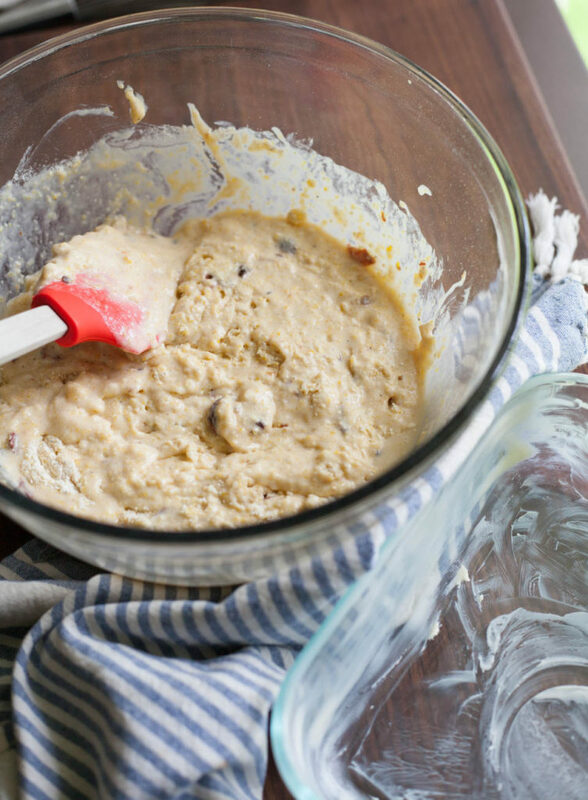 Tips for a good bread, muffin, or any other quick bread that calls for not over mixing, as this does: DO NOT OVER MIX. It really is as simple as that. Gently mix until you no longer see flour or dry spots, then walk away. Leave a lumpy batter. Signs of over mixing: “tunnels” and big holes throughout the bread/muffins, tough, dense final product. I took the photo of the final product above to show that there is a moist crumb in the bread, no tunnels, an even outer golden brown crust, and light fluffy texture. 1 cup cornmeal fine grind, use any brand you have or like, I use Bob’s Red Mill. Place oven rack in center of oven and preheat oven to 425 degrees. Butter an 8×8 oven safe pan. Add cornmeal, flour, baking powder, and salt into a large bowl, whisk to combine. Whisk the buttermilk, egg, honey, chipotle peppers, and melted butter together well using a fork. 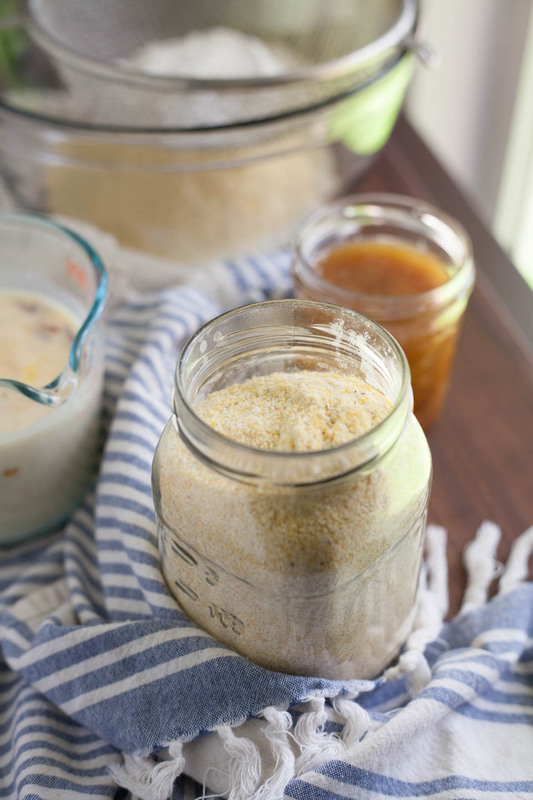 Add the buttermilk mixture to the cornmeal mixture and gently mix using a spatula. Do not over mix. Just combine until the dry ingredients come together with the wet. Leave the batter lumpy. Pour into prepared pan. Place in oven and bake for 20-25, use a toothpick at 20 minutes to test the center of the baking dish. When the toothpick comes out clean the bread is ready. Let cool for 15 minutes before cutting into the bread. Serve with butter, a drizzle of honey, or both!